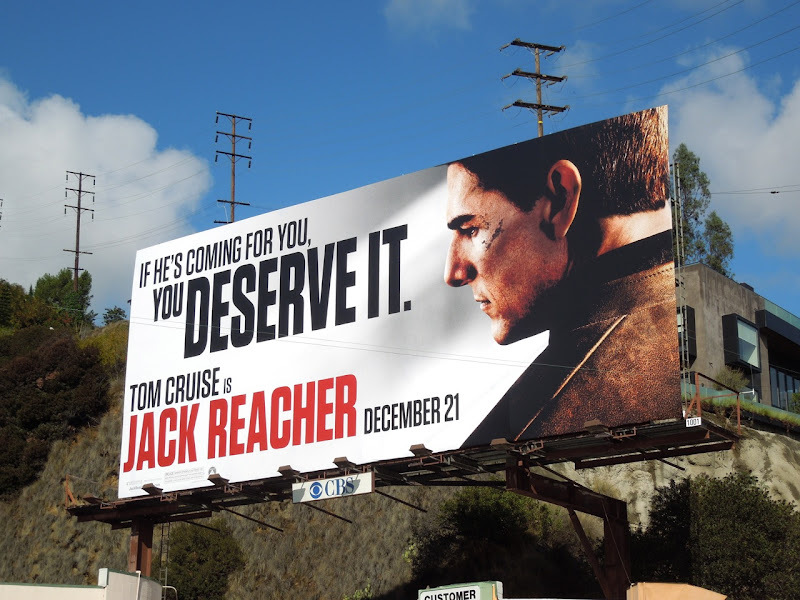 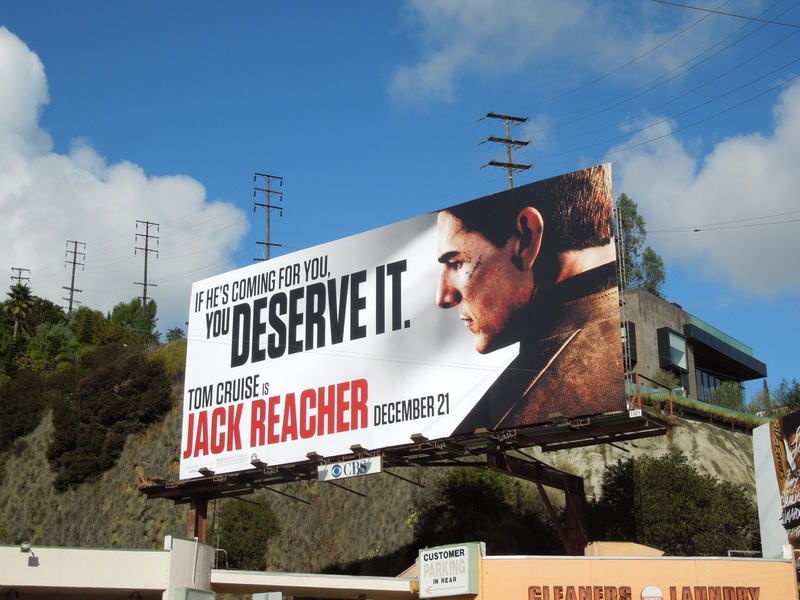 'If he's coming for you, you deserve it' and apparently Tom Cruise thinks you deserve a blockbuster movie from him every Christmas, as last year it was Mission: Impossible - Ghost Protocol and this holiday season he stars as Jack Reacher. There's been a certain amount of controversy concerning Tom Cruise's casting as the titular character created by author Lee Child. 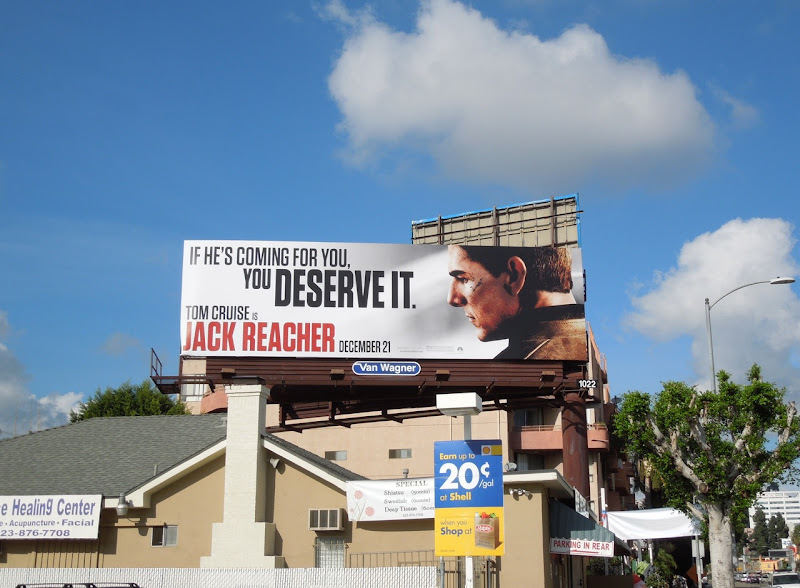 Mainly there's his height, plus that Tom Cruise doesn't have the right build or that he doesn't possess that rugged loner toughness associated with the Jack Reacher from the novels. Only time will tell if the Hollywood star can live up to his literary namesake of the U.S. Army Military Police Major turned drifter, but one thing's for certain, he'll be able to fill those cinema aisles this festive season regardless of how tall he is. 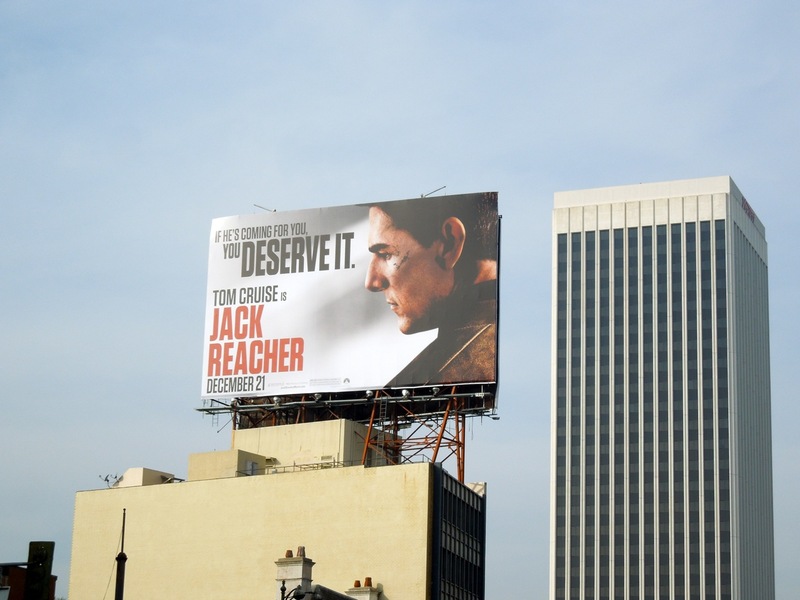 These billboards sporting Tom Cruise's distinctive profile (and nose) were snapped along Sunset Boulevard and La Brea Avenue on December 3, whilst the slightly squarer version was snapped on a gloomier November 27, 2012 high over Wilshire Boulevard. 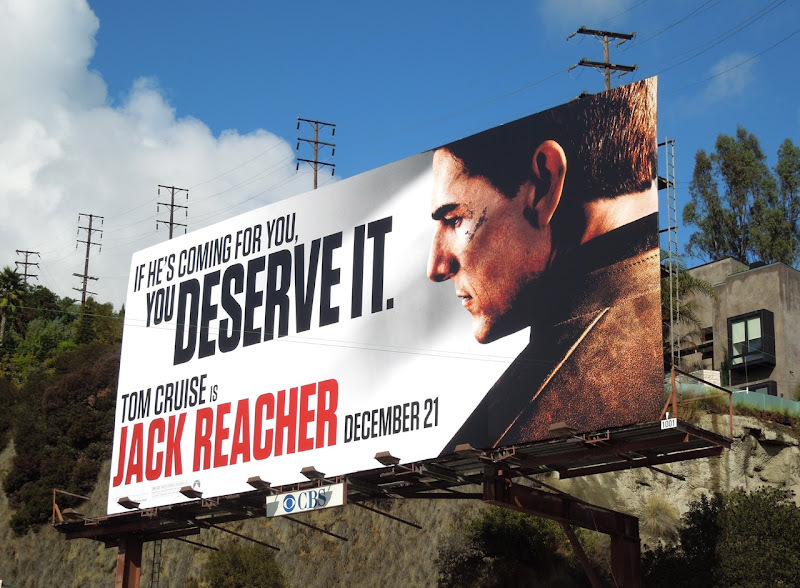 If you're a fan of the actor, be sure to also check out these Mission: Impossible Ghost Protocol movie billboards, Rock of Ages billboards and Knight and Day billboards. 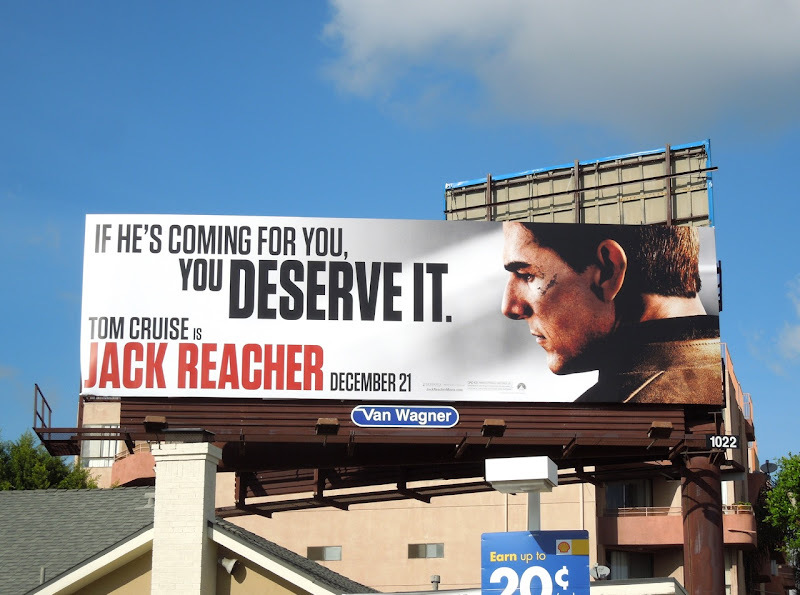 UPDATED: Be sure to also check out these original movie costumes worn by Tom Cruise and Rosamund Pike in Jack Reacher on display.